Have you noticed that I am a huge fan of pretty table settings? 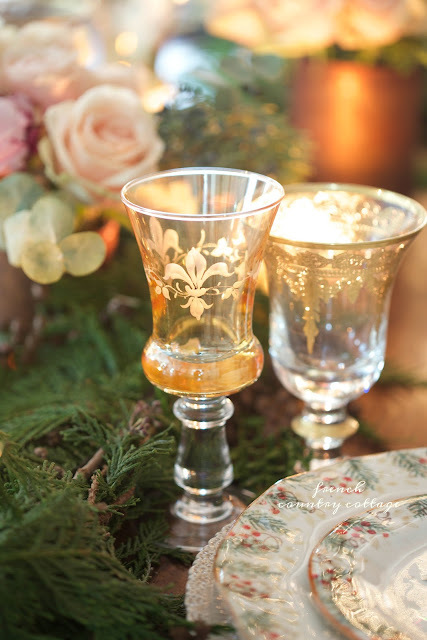 with elegant stemware and pretty little place settings set out under the stars. And those outdoor tables are my favorites. we are moving inside the house for Christmas dining inspiration. Of course, dining outdoors is always going to be a favorite of mine. 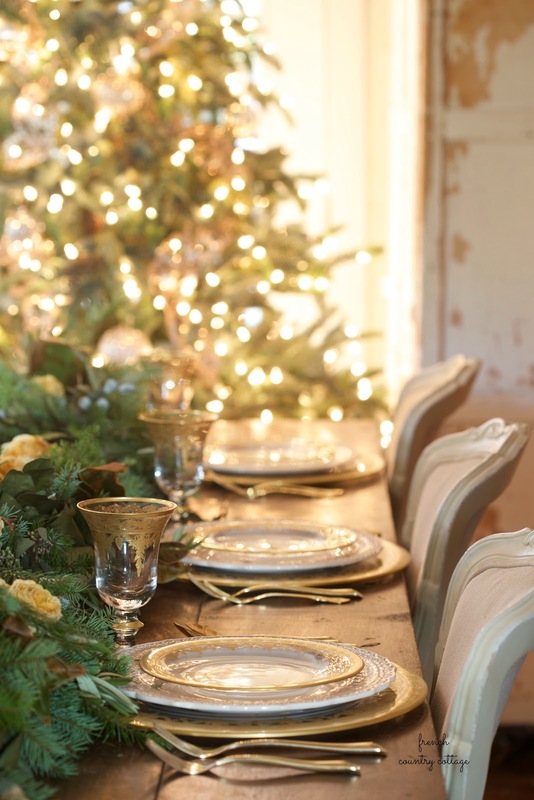 And being in California- we can do enjoy outdoor table settings most of the year. 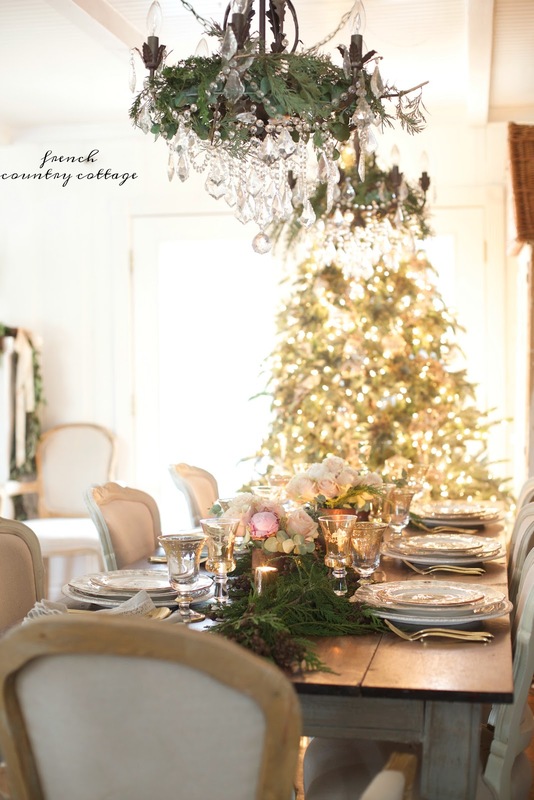 And I did just work on several tables out there that I can hardly wait to share with you. But indoor dining is just as elegant and inspired. For Christmas entertaining and for simple every day celebrations and occasions. and a little glimpse at my wine country inspired tree. More about that tree coming your way tomorrow. an answer to a reader question. about if traditional can be elegant and inspired. And that is exactly what inspired this table. Elegance comes in all forms. 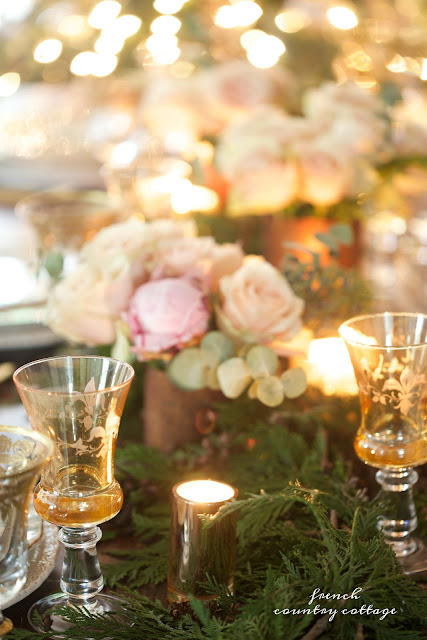 And elegant table settings are not just tables that look like storybook wedding settings. but every day elegance is something that I love. simple elegant touches and charm are one of my favorite looks. 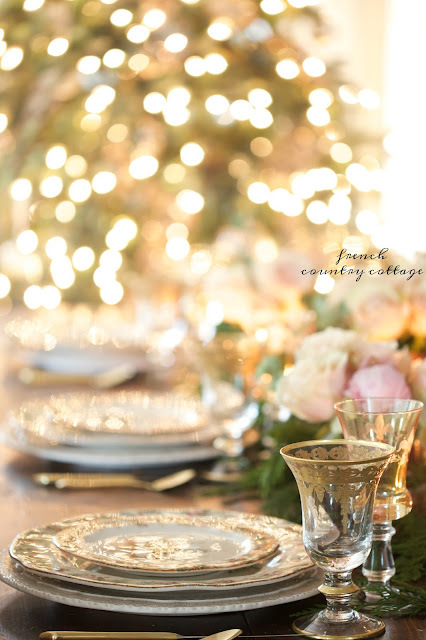 were the perfect place settings for this table that was all about the mix. 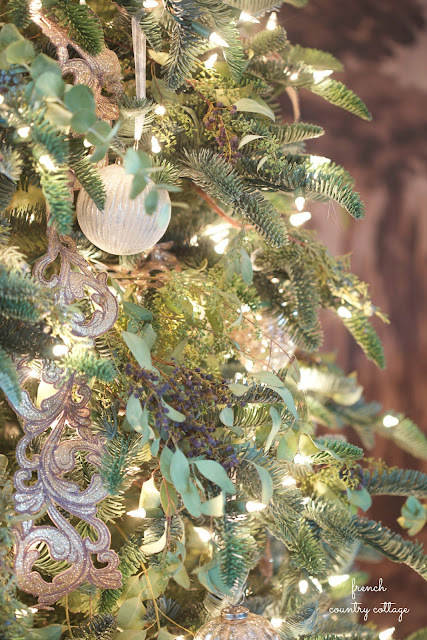 I am a huge sucker for artisan details and old fashioned holiday stylings. I took one look and was in love. and be enjoyed all season long. They are made in Italy and hand painted - and so each piece is unique which I love. has been speaking my name recently. and then filled it in with a few candles for that warm ambiance. 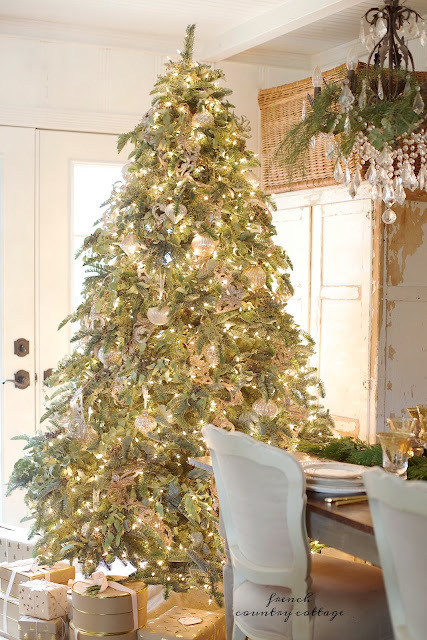 wine country inspired Christmas tree. Those plates are adorable! What a lovely setting. The glow of the tree just makes it perfect. I normally do a paper tablescape each month because that is where we are at with little ones. 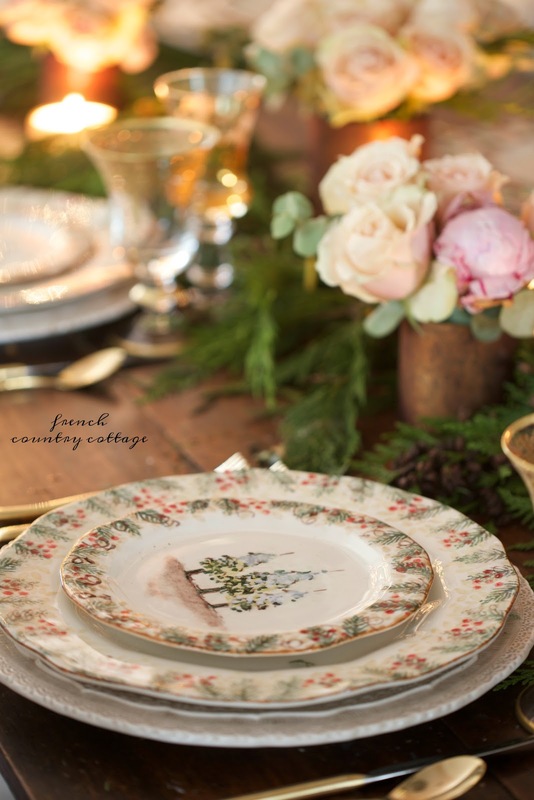 This has me dreaming of pulling out the china for a more elegant tablescape. You are always so inspiring Courtney. The Christmas tree and the table setting is absolutely stunning! 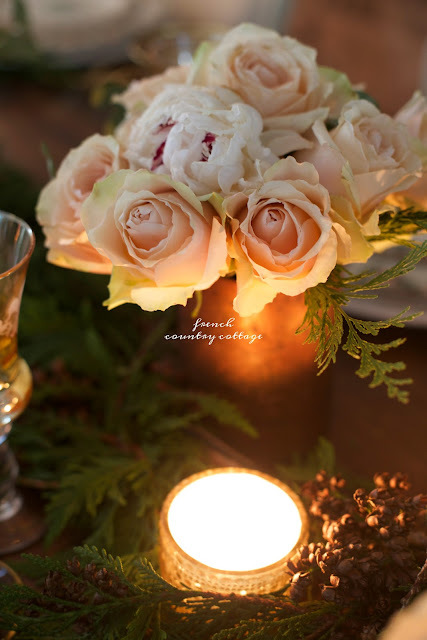 Your love of flowers and tablescapes shines in this post. 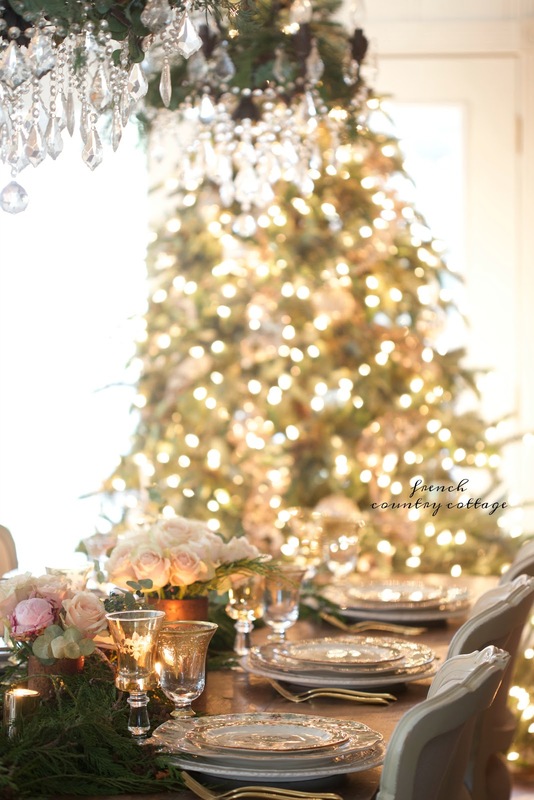 This room is absolutely beautiful, I especially love the table setting! 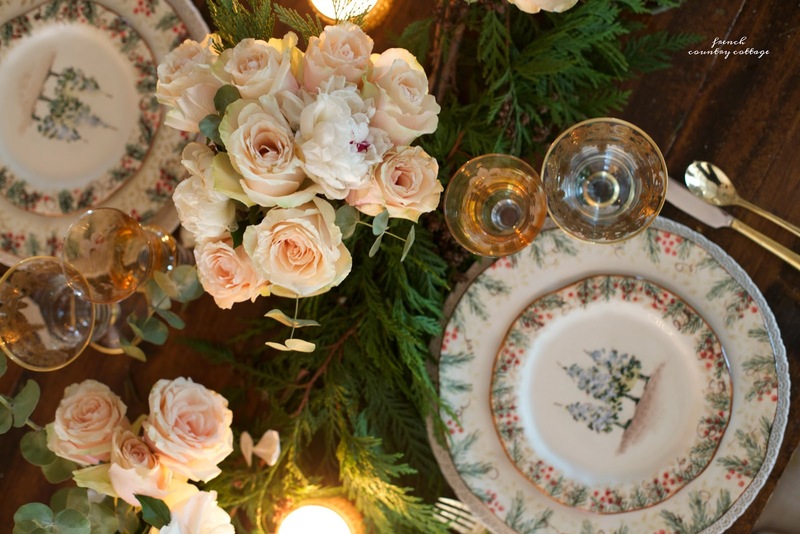 All the photos are just awesome, love the dinnerware. The Flowers are so pretty. Beautiful and inspirational simplicity. This dishwater is very similar to a holiday set of Vietre I have had for years and still use every year in the dining room. Scrumptious in every way. I'm with you on those plates. Just wondering though-- it looks like you have 2 dinner plates over the base white one. Is that correct? Is there a secret here? I'm dying to know!! 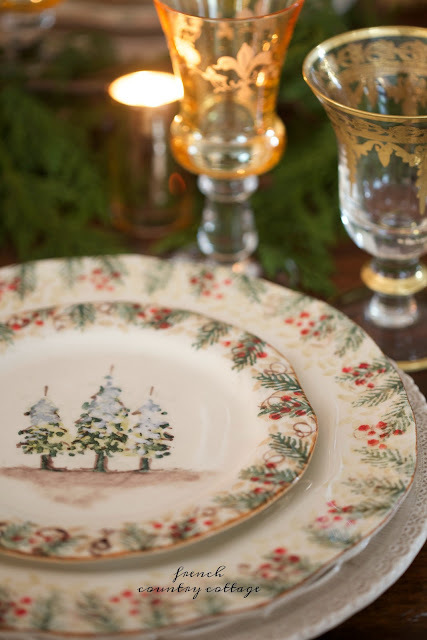 Those plates have my name on them, I know they do ;-) Growing up in an Italian household Natale was so important. It meant family, good food, and the coming of Christ. WOW! 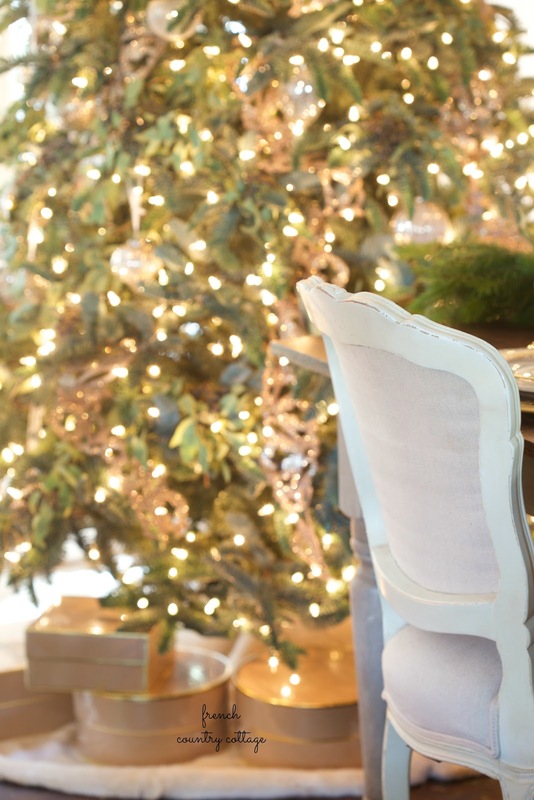 I simply love your tree and your table setting. These are so beautiful. I love the watercolor details and the soft colors. And you styled it all just perfectly. These just got added to my wish list!